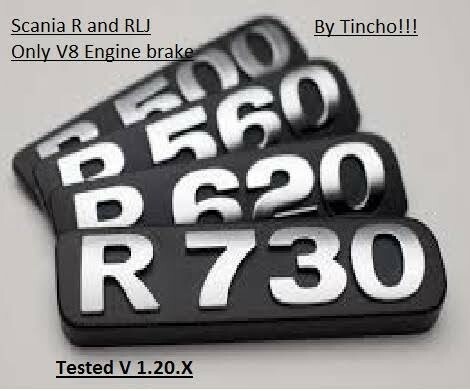 Tested in V 1.20.X new Engine Brake and more….!!! Where is the scs file? which file is for mod file? How the hell do you use this? Where do you put the files? Why is there no scs file? NEW LINK SORRY: http://www.mediafire.com/download/err0fdipj4jk0d6/zzzzzzzzsound+mod+scania+R+And+RLJ+V8.scs By TINCHO!! !